Mindlessly applying security concepts, such as camouflage, almost always has ridiculous results. 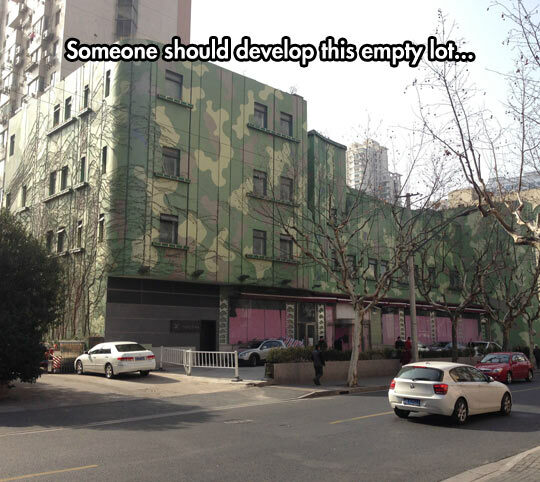 As if that camouflage design is really going to make that building harder to see. If anything, it makes it stand out more.